Zach Eflin found himself the property of three different teams in Major League Baseball within a 24-hour span back in the middle of December. The 1st Round pick at 33rd overall by the San Diego Padres in the 2012 MLB Draft, Eflin was first sent to the Los Angeles Dodgers as part of the deal bringing Matt Kemp to the Pads. But Eflin was never destined for the bright lights of LA, as he had already been earmarked for flipping almost immediately to the Phillies in a deal sending Jimmy Rollins to the Dodgers. 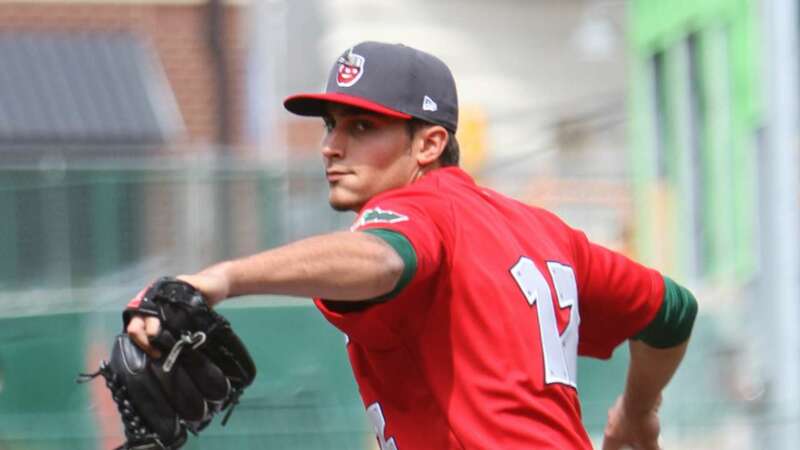 Thus did the 6'4", 200 lb, right-handed starting pitcher Zach Eflin, formerly one of the Padres Top 10 prospects, became a big part of the Philadelphia Phillies rebuilding plan. On Wednesday, the Phils brought in a number of their higher profile prospects for a day of orientation. It was meant to expose the players to the media, and to run them through some training on handling lives as big leaguers. During the orientation, Eflin told reporters "I'm very humbled and honored to be part of that trade and I'm going to work as hard as I can to be the best person on and off the field as I can be." After signing, Eflin appeared briefly in four 2012 games for the Padres Rookie-level team in Arizona. The last two seasons he has been a regular member of the starting rotations at both A-level Fort Wayne and at AA-Lake Elsinore respectively. In his 2013 season with Fort Wayne in the Midwest League, Eflin went 7-6 with a 2.73 ERA and 1.188 WHIP. He had an 86-31 K/BB ratio and allowed 110 hits in 118.2 innings across 22 starts. In 2014 at Lake Elsinore in the California League, Eflin went 10-7 with a 3.80 ERA and 1.320 WHIP in what is a much more hitter friendly environment. He allowed 138 hits in 128 innings, with a 93-31 K/BB ratio across 24 starts. It is anticipated that Eflin will pitch at AA-Reading in the coming season, likely with another highly touted Phils pitching prospect, Aaron Nola, and two more recent high-profile acquisitions, Tom Windle and Ben Lively. Eflin will turn 21 at the start of the season in early April. While he is still likely a couple of years away from toeing the rubber at Citizens Bank Park, he is clearly going to be groomed as part of a future Phillies rotation.